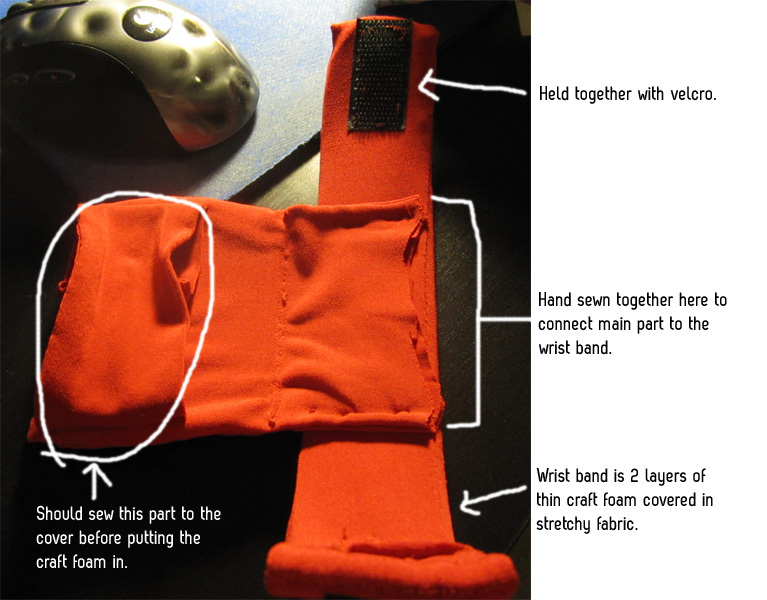 Recently someone asked for help on Sakura’s gloves in the Cosplay forums, so I put together something real quick. 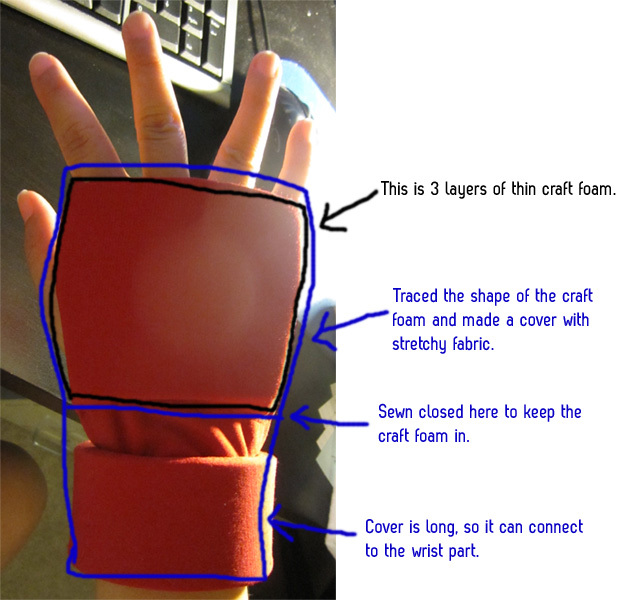 I was hoping to put better pictures on here, but then I realized that I didn’t take any step by step progress pictures while I was working on the gloves XD;; So… here is my quick tutorial! 1. 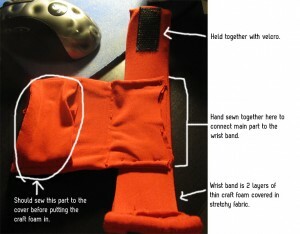 Cut out identical pieces of craft foam (however thick you want it) that is the shape of the back of your hand. Glue them together. 2. Cut out a cover for them that extends past the bottom part (pointing at the wrist). 3. Before sewing the cover together, I take a strip of fabric, form a circular band with it, and sew it to one side of the cover, which will be the part that your hand goes through. 4. Sew the cover together, leaving the long side open. 5. Stuff the craft foam in. Sew the cover close as close to the craft foam as you can. 1. Cut strips of craft foam that can wrap around your wrist. Leave extra room so they can overlap. 2. Create a cover for the craft foam. 3. Sew on pieces of velcro where it comes together. Then, I just sewed the long end of the hand part to the wrist part, leaving a little room between them. Just last night, I ordered The Costume Technician’s Handbook and More Fabric Savvy. I can’t wait to get them =D Hopefully, these will help me choose fabrics and draft my patterns better!